Is stuttering preventing you from making the most of opportunities? 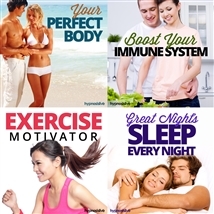 Want to find a quick, effective, natural way to speak freely and effortlessly? Stuttering affects children as they’re learning a language. But when it carries on into adulthood, it can cause serious difficulties. It makes you self-conscious, putting extra tension on everything you say. Your embarrassment only increases the anxiety as you’re afraid to open your mouth and speak. 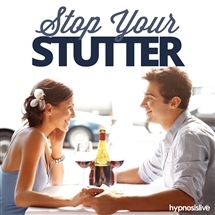 But stuttering can be stopped – with a little help from hypnosis. The Stop Your Stuttering hypnosis session will help you conquer your speech impediment from the inside out! As you listen, the special NLP and hypnosis exercises will work to subtly reprogram your subconscious, helping you relax and eliminate stress. You’ll discover the ability to take your time whenever speaking is required, helping you formulate words with ease and assurance. You’ll become cool and collected, no longer afraid to say whatever comes into your head. Eliminate stuttering from your life for good! Download the Stop Your Stutter hypnosis session now to enjoy the freedom and power of stutter-free speech.